Ferritin is a protein found in the cells of most living organisms. It binds to iron and plays a major role in storing iron in the human body. Iron a is an important part of hemoglobin, a protein molecule that carries oxygen in red blood cells and delivers it to the cells of the body. The body is dependent on iron to produce normal amounts of hemoglobin. Iron stores in the body exist primarily in the form of ferritin. If iron stores are reduced, the body may not be able to produce enough hemoglobin to meet the demands of the cells. This will be reflected in low ferritin levels. Anemia is usually defined as a decrease in red blood cells or hemoglobin in the blood. Although low iron levels may cause anemia, too much iron may also cause health problems. Iron overload is a relatively common condition. Ferritin is a protein that stores iron in the body. It is found in virtually all cells, and only a relatively small fraction is found circulating in blood. The greatest amount is found in liver cells and cells of the immune system. Transferrin is a protein that carries ferritin in blood. 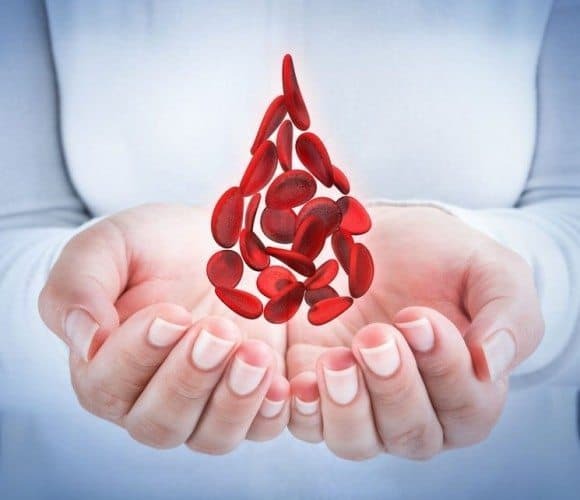 When the body needs more hemoglobin and red blood cells, it will signal cells to release ferritin which is then transported by transferrin to make iron available for the production of hemoglobin and red blood cells. Hence, the primary role of ferritin is to store iron in cells and deliver it safely to areas where it is required. Ferritin can easily be measured in blood. The levels correlate with the total amount of iron stored in the body. Hence, serum ferritin reflects the body’s iron stores. In general, low levels suggests iron deficiency whereas high levels may suggest iron overload in the body. However, elevated levels are often found in the absence of iron overload. Ferritin levels tend to increase with age and the levels are higher in men than women. Low Ferritin – What Does it Mean? Low levels are usually associated with iron deficiency caused by blood loss or lack of iron in the diet. Common causes of blood loss leading to low ferritin levels are long-term blood loss from heavy menstrual bleeding or bleedings from the gastrointestinal tract. The latter can be a result of ulcers, inflammation or cancer of the stomach, small intestine or colon. Sometimes blood loss may be from hemorrhoids. Low levels typically reflects iron deficiency anemia (1), but may also be caused by celiac disease, hypothyroidism, and vitamin C deficiency. One study showed that low levels, resulting from iron deficiency, were found in 19% of vegetarians (2). Common symptoms associated with low levels are fatigue, headache, dizziness, and unexplained weakness. High Ferritin – What Does it Mean? In the clinical setting, high levels either suggest iron excess or an inflammatory reaction in which levels are increased without iron excess. Very high levels may indicate buildup of iron in the body. Hemochromatosis is an autosomal-recessive genetic disorder of iron metabolism characterized by very high levels of ferritin (3). Symptoms of excess iron overload may include fatigue, unexplained weakness, and joint pain. If ferritin levels are elevated, other tests may be performed to provide more information about the body’s iron stores. The most common tests are serum iron and total iron binding capacity (TIBC). TIBC reflects the level of transferrin. The transferrin saturation can help differentiate between iron overload and other causes of elevated ferritin. Transferrin saturation is the ratio of serum iron and TIBC (serum iron/TIBC). Transferrin saturation is high in patients with hereditary hemochromatosis, typically > 45% and sometimes >55%. Ferritin is also known as an acute phase reactant implying that when inflammation is present, its levels will rise (5). Hence, levels are often raised in patients with infections, some cancers, such as Hodgkin’s lymphoma and leukemia, and conditions such as rheumatoid arthritis and systemic lupus erythematosus. Serum levels are typically elevated in adult-onset Still’s disease, systemic juvenile osteoarthritis, and hematophagocytic lymphohistiocytosis (6). Elevated serum ferritin is commonly encountered in general practice (7). The first step is to exclude conditions related to iron overload such as hereditary hemochromatosis. Ninety percent of elevated ferritin is not due to iron overload. If hereditary hemochromatosis is excluded, workup should aim at identifying alcohol consumption, metabolic syndrome, obesity, liver disease, cancer, infection or inflammation as causative factors. High levels have been associated with the metabolic syndrome, hyperinsulinemia and non-alcoholic fatty liver disease (9). In women, ferritin levels increase significantly after menopause and may carry increased risk of osteoporosis (10). Hereditary hemochromatosis is an autosomal recessive condition of progressive iron overload, commonly caused by homozygosity for the C282Y mutation in the HFE gene. Hereditary hemochromatosis is usually treated by removing blood from the body (phlebotomy) on a regular basis. Similar to type 1 diabetes being a disorder of glucose metabolism caused by insulin deficiency, hemochromatosis is a metabolic condition of iron metabolism due to hepcidin deficiency (11). Approximately 1 in 200 people are homozygous for the C282Y mutation. The mutation has a higher penetrance than the H6RD mutation. Hereditary hemochromatosis confers risk of organ damage due to iron overload, including liver damage, liver cirrhosis and cancer of the liver, irregular heartbeat (arrhythmia), heart muscle disorders (cardiomyopathy), diabetes, arthritis, and a brownish pigmentation of the skin. The most useful blood tests in the evaluation of iron overload due to hereditary hemochromatosis are serum ferritin and transferrin saturation. A transferrin saturation <45% in patients with elevated ferritin makes hereditary hemochromatosis less likely and may suggest other causes. 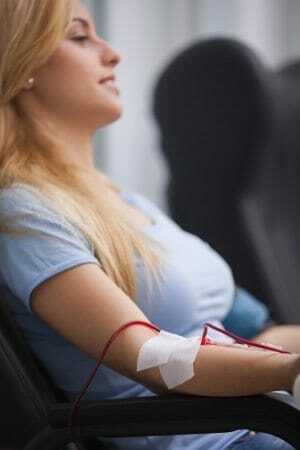 The goal of phlebotomy is to reduce iron levels to normal. Ferritin levels are used to monitor therapy. It may take a year or longer to reduce the iron stores to normal levels. I recall reading in People magazine, of all places, around 20 (?) years ago about a pathologist who was getting lots of publicity for advocating regular phlebotomy or regular blood donation in order to drive one’s ferritin to the lower range of normal so as to prevent heart disease. IIRC, this pathologist cited studies showing habitual blood donors as having lower rates of MI. Has the “excessive iron” theory, for folks who do NOT have hemochromatosis, as a cause of heart disease been debunked? I think the hypothesis that phlebotomy may be used to prevent cardiovascular disease or even Alzheimer’s has never been proven. I don’t recall any trial showing benefits of phlebotomy in terms of clinical endpoints although there may be positive effects on surrogate markers in some studies. So I guess the hypothesis has neither been proven nor debunked. Information you shared is good for maintaining health. Air Travel and Venous Thromboembolism (VTE) – Who’s at Risk and What Can Be Done?